European social network Netlog has announced a deal with game developers Jadestone (Sweden) and Bigpoint (Germany) to start integrating multiplayer games into the community website. Users will be able to play games directly on Netlog without having to create extra accounts, which is a direct results of the social network’s use of the Google OpenSocial API. Google’s OpenSocial application platform recently turned one, which prompted us to take a closer look on how (and when) social network applications will be monetized. 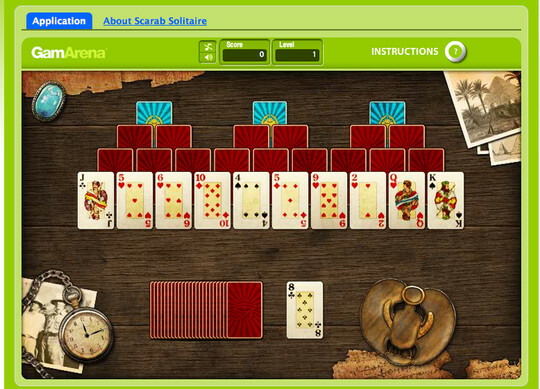 The integration is currently still under development but the games (Scarab Solitaire and 3-D adventure game Seafight), which will be playable on a 740-pixel application canvas, will be made available from January 2009. Netlog’s social networking service is currently available in 20 languages and counts over 35 million members throughout Europe, mostly situated in the teenager age group. The company raised $5 million in venture funding from Index Ventures in April 2007.